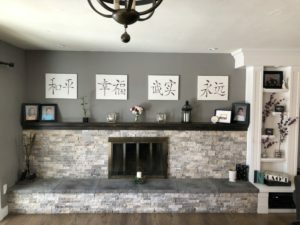 Lee’s Painting operates in Littleton, Colorado and here we have a lot of sunny days year round. That means everyone will get a good look at your new paint job so you want to nail those colors just right. Don’t be frustrated if you don’t know where to start, its perfectly normal for people to struggle with this. Whether it’s interior or exterior, the majority of people don’t paint their house very often so picturing the end result can be difficult. It’s a hassle and getting the color right means you don’t have to do it again anytime soon! For interior painting look to the color of the flooring or cabinets first. 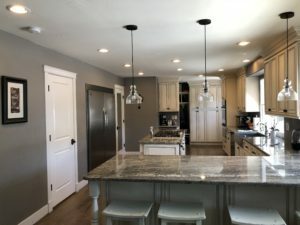 Assuming you aren’t planning on replacing those in the near future (if you are choose those BEFORE painting), you will want your colors to complement these first and foremost. Don’t think of trying to match the colors exactly, that can turn out to be bland. Look at the underlying hues and try to get a sample color from the paint store of that. Also try to get a few complementary (think opposites attract) sample colors of both the main color and its hues. Paint your samples on a board so you can place them around the house at different times of day and see how they look. goes with everything so focus on the main areas most. Want to add more color? Try small items like colorful flowers, throw pillows or blankets. If that’s not enough you can always have a colorful accent wall. Be aware though that odds are you’re going to grow tired of that color at some point. For exterior painting look to the brick first. If you have a composite deck you will want to be aware of that color too. Don’t worry too much about the roof color, don’t ignore it either but this will be the least important color to focus on. Most people don’t notice the color of the roof at all until either they replace it or it’s time to paint. Look at the houses next door and across the street, you don’t want to be too close to those colors. 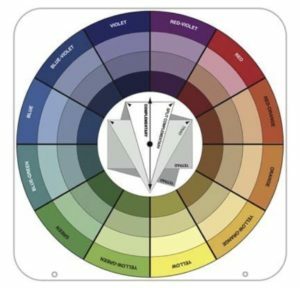 Use the same technique as choosing interior colors. Pull a hue from the brick that you like and get a few samples of colors that match and complement it. For example if you have red brick then look at colors that have some green in them. Don’t like green? Don’t worry beige, taupe and grays can all have a little green in them that you might not notice until you compare them to other colors. See which ones you like on your sample boards at different times of the day. Don’t like your brick colors? Try a grey that matches the mortar and see how that looks. Worst case scenario you do have the option to paint the brick to a color you like. If you need more help don’t be afraid to ask. Most painting contractors will offer free color consultations. If not, they should be able to refer you to a designer. Retail paint stores also have designers that are happy to help.